« The Western Christmas Spirit: Christmas Riders of the Backcountry Coming Soon From Jim Burnett! 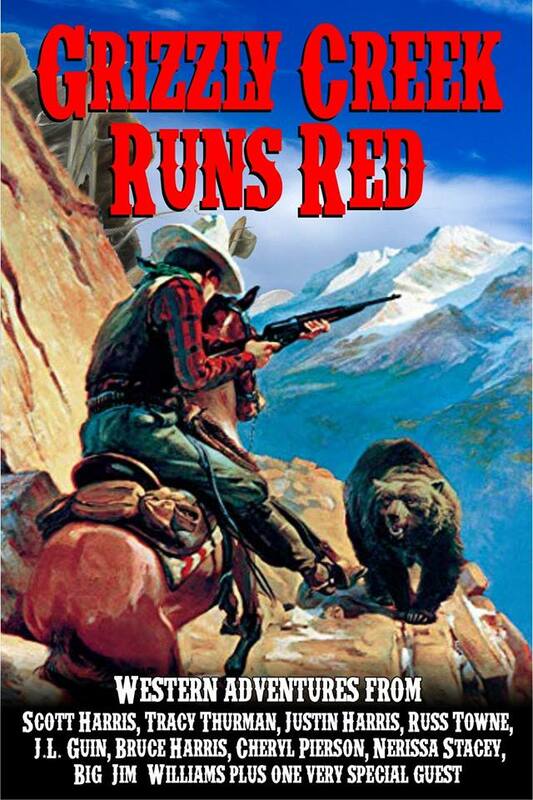 For The First Time: The New Paperback Edition Of “Grizzly Creek Runs Red” From Scott Harris! A brand new, all-star collection of Western tales from some of the most popular authors in town!The four had ridden themselves and their horses to exhaustion. They were out of food, water and patience and decided the time had come to quit running and take a stand.Nine fast paced short stories coming from nine of the best Western authors writing today, each using the same prompt, but with nine very different results.Fast horses, fast fists and fast guns take the lead in these exciting tales of the Old West. Make sure you have plenty of time when you pick this up, because you won’t want to put it down.This new collection has stories from Scott Harris, J.L Guin, Bruce Harris, Cheryl Pierson, Tracy T. Thurman, Russ Towne,‘Big’ Jim Williams, Nerissa Stacey, Justin Harris. Plus a very special guest author! Grab your paperback edition by clicking here.